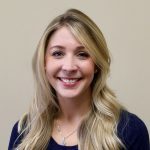 Originally from northwest Arkansas, Dr. Loyd earned her Bachelor of Science in education and communication disorders at the University of Arkansas before going on to earn her Doctor of Audiology at the University of Arkansas for Medical Sciences. She is a member of the American Speech-Language-Hearing Association and also holds her Certificate of Clinical Competence as well as her state license through the Arkansas Board of Examiners. Dr. Loyd specializes in vestibular and diagnostic testing a wide range of pediatric and adult patients, and she loves being a part of a care team that works alongside ear, nose and throat physicians. In her spare time, Dr. Loyd enjoys hiking, spending time at Lake Ouachita and Beaver Lake, running and reading. In spring of 2019, she will be marrying her fiancé, Bryan.